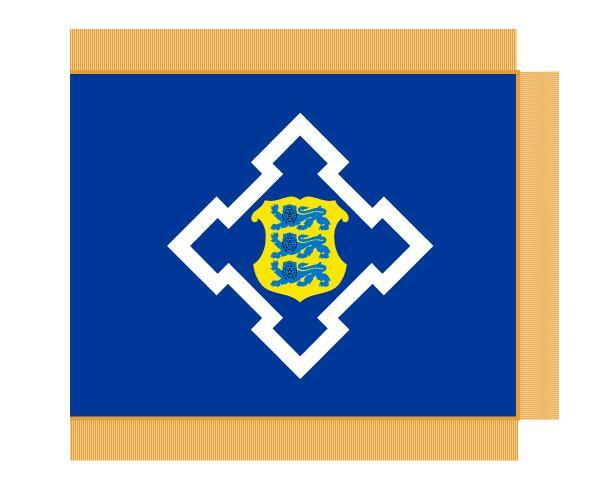 From <www.siseministeerium.ee>: ""The official flag has a blue cross with silver borders in the outlines of a fortress on a blue background. Within the cross is a small image of the national coat of arms. The height to width ratio of the flag is 7:9. The flag is bordered by 75 mm gold fringe." Image of the flag at < www.siseministeerium.ee>.